I watched a touching video which shared a picture of two children waking to prepare for school. The parents of each child woke them up. One ten year old lived in a modern home with amenities. The other child lived in a clean house with barely the basics. The parent of each child prepared them some breakfast. One child was driven to school 7 minutes away from her home. The other child, age 10, walked to school over a rocky road and hills. He traveled across man made planks to get across to the other side. It took him 2.5 hours to walk to school. One child lived in the United States; the other in Guatemala. His desire to learn is evident. 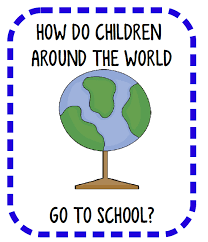 We need to pray for all children attending school or going back to school around the world. Let us teach our children not to take school for granted. Children are a blessing and a gift from the Lord. Psalm 127:3 CEV. Mothers and fathers around the world should come together to passionately pray before God for the lives of their children in more than 140 countries. Imagine the impact of God answering prayers for a generation of children throughout the world. Imagine if we all cried out for their safety and academics as I urged in the posts last week. Parents and the community needs to unite in prayer in our neighborhoods and on the school grounds to serve as prayer warriors who battle in the spiritual realm for the lives of children and teenagers as they go off to school and colleges for at least a half hour to one hour every week. Let’s challenge ourselves to daily pray for the safety of our children and that God will deliver them from evil and thwart every scheme of the enemy. Prayer: Lord in the name of Jesus we pray that you cover the children and youth through the blood and “stay the hand of violence against the children and staff of the school. Dismantle any plan to bring harm to them. Expose any weapon brought on the school premises and render it harmless”. ( from Power-Packed Prayers for Public Schools by Ida Rose Heckard). Here’s a prayer to help them with their academics. Keep him//her mind stayed on you. When philosophies and theories of this world oppose his/her faith, help him/her to maintain a constant focus on you, to run his her course with patience, looking unto you. Lord Jesus, the author and finisher of his/her faith. Thank you for providing us with all we need to meet the challenges of life. You have equipped _____________with the necessary abilities to do well in school. Help _____to remember to be thankful to you for the abilities and aptitude you have given to him/her. Linda D. Fegins, “The Prayer Leader”.Linda Fegins, “The Prayer Leader” serves as prayer leader and teacher/trainer on the “Prayer Boot Camp” with the Global Missions Prayer Force and as a guest intercessor and volunteer for Girlfriends Pray a global prayer ministry. She served as Prayer Coordinator for over 13 years( later Director over the Prayer Ministry) for the Lydia Circle Christian Business and Professional Women. As part of the Lydia Circle she has lead over a dozen prayer boot camps, and has lead prayer services and workshops in the Bahamas and in South Africa and was on the prayer team of a medical missions trips to Jamaica under the leadership of Rev. Jackie McCullough. 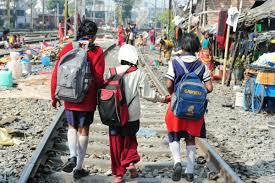 Our children our returning back to school all over the country. Our youth our headed back to college campuses and some are leaving home for the first time. 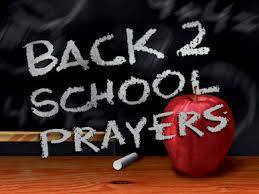 Let’s pray for back to school prayer protection. Last week I mentioned that we need to cry out in united prayer for our children and schools saying “Lord bless our children and the schools they attend”, See Lam 2:19 . https://ladyofprayer.com/unite-cry-schools-linda-fegins Through prayer, families, our children’s lives, and our world can be changed. 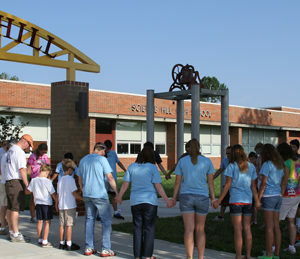 Along with daily prayer rallies and prayer meetings around the country, Moms in Prayer , International will hold its seventh annual Bless Our Schools Sunday, September 18,2016.https://momsinprayer.org/events/bless-our-schools-sunday Every year on the third Sunday in September, churches around the world pray for the schools, teachers, staff, and students in their congregation. There is no doubt that “Moms In Prayer International” (MIPI) founded by Fern Nichols, a group of mothers around the country have been going before the throne of God. A diversified group of mothers of MIPI serve as prayer warriors who battle in the spiritual realm for the lives of children and teenagers as they go off to school for at least one hour every week. They are women united with one purpose: a passion to pray for their children. http://momsinprayer.org/ The mission of Moms in Prayer International is to impact children and schools worldwide for Christ by gathering mothers to pray. Through prayer, our lives, our children’s lives, and our world can be changed. Believe that intercessors can change your school district with the weapon of prayer. Believe that positive results will occur such as peace and safety, better test scores, higher graduation rates, and more school funds to meet the needs of our children. Pray that student-led prayer groups will spring forth. Let’s challenge ourselves to daily pray for the safety of our children and that God will deliver them from evil and thwart every scheme of the enemy. I know that many intercessors already have prayer assignments from the Lord. But I would challenge the intercessors, parents and teachers to ask Him if He might also want you to “adopt” a public school for your prayer agenda. Pray for the school your child attends as you drive your child to school . Pray for a school in your neighborhood and/or adopt a school to daily pray for throughout the school year. Encourage your children to pray for their school and teachers. How many of you will join with me to begin praying for your child or grandchild’s school or college today. Join with me now! How should we pray? Below is one prayer for school safety and protection. Next week we will pray for their academic study. See a few prayer points from last week’s post. A Prayer for Your Child’s Protection and Safety. Lord, you saved Israel from the hands of the enemies time and time again. You delivered your people and helped them to dwell in safety. Be a very present help to my son/ daughter__________________(state their name )as he/she goes out to play, goes to school, attends college and faces the challenges and responsibilities in our society. Lord build a hedge of protection all around the school building, playground, bathrooms, classroom and hide them under the protection of your wings as in Psalm 91in the name of Jesus. Keep our home safe from all fear and dispatch your angles to protect my children at school,on campus, on the playground, on the bus and walking home from school. Uphold my child, ______according to your Word, Lord, so that he/she might truly live, experiencing the abundant life you have promised to all who come to you. Let him/ her never be ashamed of you. Hold him/her up so that he/she will always be safe and will have respect to your statues continually. I pray that he will honor You and your Word. I thank you, Father for the promises of your Word, and that you are a shield unto them that put their trust in you. Deliver them from all who would harm them. School is about to start up again and some have already started. 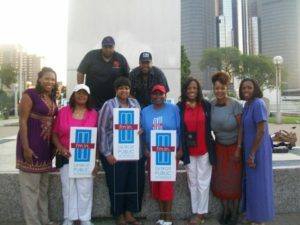 We need to begin a united cry out in prayer in the cities of Detroit, Chicago and where you live for our children and the schools they attend. Cry out today “Lord bless our children and the schools they attend”, See Lam 2:19 and then also specifically and scripturally pray the prayers below or as led by the Holy Spirit. Through prayer, families, our children’s lives, and our world can be changed. God will show us how to use the power that believers have within through the Holy Spirit to transform our schools and deliver them from violence, disorganization, and poor administration. Through united consistent prayer, God will give us the power, wisdom, knowledge, and creativity to solve the many school problems that plague our city schools and school board. Through prayer the right leaders will arise to enable the community to come together to take productive and strategic action. Can prayer change public schools? Yes, back to school prayers and prayer period can. Believe it! “Lord we pray that you cover the children and youth through the blood and “stay the hand of violence against the children and staff of the school. Dismantle any plan to bring harm to them. Expose any weapon brought on the school premises and render it harmless”. ( from Power-Packed Prayers for Public Schools by Ida Rose Heckard). Pray for the school your child attends as you drive your child to school .Pray for a school in your neighborhood. Encourage your children to pray for their school and teachers.